Clendon Esplanade at Rawene. The Boatshed Café and road signs to Clendon House. 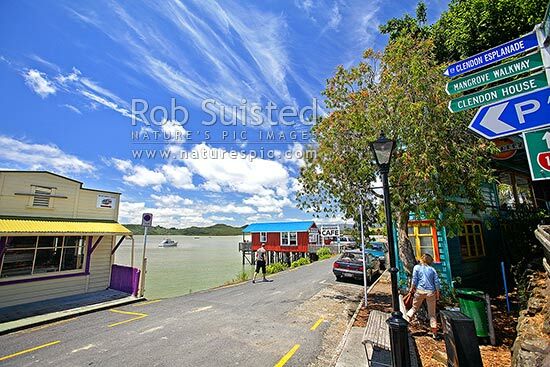 Historic buildings with Hokianga Harbour beyond, Rawene, Hokianga, Far North District, Northland Region, New Zealand (NZ), stock photo.